As a Business Coach, one of the first things I ask my coaching clients is “What does success look like to you?” It is a great conversation starter, and many have never thought about life in this way. Success means different things to different people. One of the primary responses that I get is success in business. But success means so much more, such as family, faith and health success. My goal in this article is to get YOU thinking about what business success means to you (and your families’) future. My goal in business is WEALTH CREATION. What is yours? What are you doing differently? JOB and LIFESTYLE Companies probably make up 85-90% of all companies in operation today. With more planning and strategic thought, you may be able to go from these types of companies to WEALTH CREATION. You may also have to re-think your model, and go in a different path. A JOB is just that, you’ve created a business that pays you (hopefully) a market wage. In many instances the JOB business you’ve created doesn’t event pay you a market wage, and you are forced to work 60-70 hours per week. A LIFESTYLE business is one that with a little more planning, market evaluation, and thought. You create a company that can grow to provide you a lifestyle that is middle class or better. You direct the overall vision and operation, and employees do most of the tasks. A WEALTH CREATION business, for me, is where the rubber meets the road. If you have a mindset from day one to create wealth, then you think differently than if you are just creating a job or a lifestyle business. For the same hours in a LIFESTYLE or JOB, you create a company that creates wealth. I’ve seen people struggling in JOB and LIFESTYLE BUSINESSES. In my companies, my goal from day one was/is to create wealth. My thoughts from day one are of how to Scale Up, leverage technology, be efficient, hire the best employees, have my exit strategy in mind, innovate, and provide more services to existing clients. These are but a few of my top of mind awareness. I am a student of success and fast-growing companies. Become a life time learner (in all aspects of your life: work, health, faith, fitness, family). 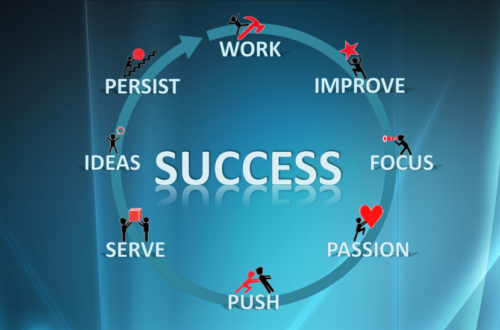 What works for a successful company will probably work for you! Embrace innovation. The world’s most successful companies innovate. If you don’t innovate, you are a commodity. Build relationships. People buy from people. Successful companies do not sell on price, they fulfill a need or solve a problem. Control of yourself and your own emotions. Until you control yourself, you control nothing. Be a stickler for details, and leave nothing to chance. The Devil is always in the details. Become a great observer, communicator and listener of people. Learn to watch a person’s body language: 80% of communication is non-verbal! Learn how to plan, and how to work the plan. Success only comes with great planning. Study leadership to become a good leader. No successful company was run by one person. Hire great people. One of the biggest causes of failure in business is not hiring the right people. Surround yourself with people who are smarter and brighter than you. Smarter people will make your job easier. Set goals with Key Performance Indicators (KPIs) that are measurable, understandable and achievable. Great Coach: Billie Attaway ?